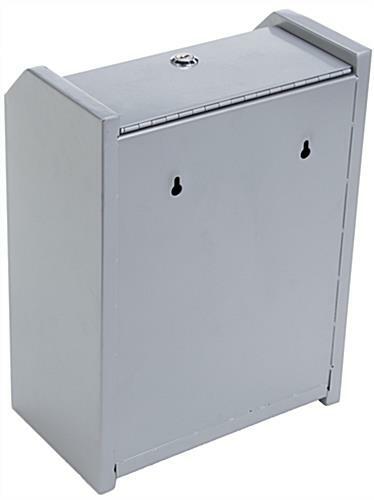 This locking steel drop box has a countertop or wall mount design. 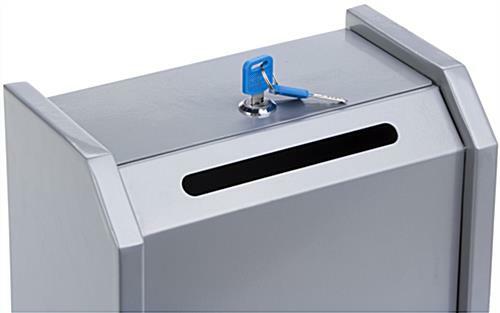 This durable metal ballot holder has a hinged door and comes with mounting hardware. 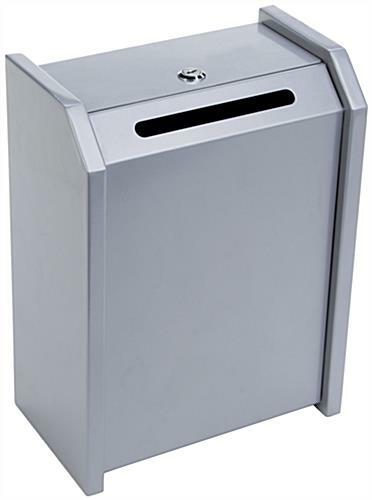 This steel drop box has an attractive silver finish and angled slot for easy push-through. 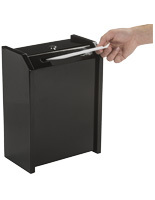 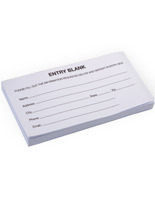 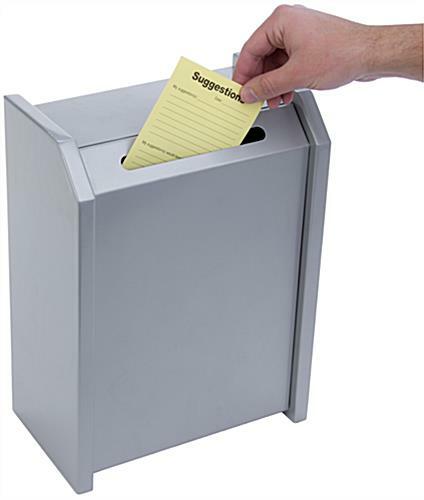 Keep testimonials, donations, and money secure with this lockable testimonial holder. 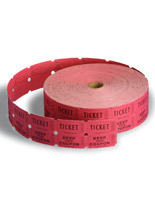 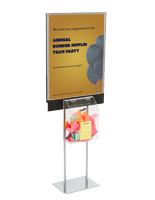 Run contests and collect customer and employee feedback or votes with this container. 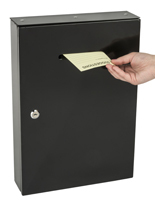 This drop box can be placed in commercial and non-profit settings for myriad uses. 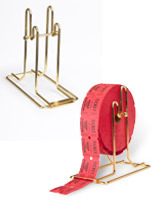 This product is shipped with one set of keys. 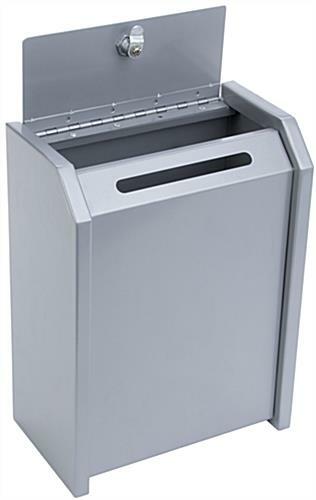 17.4" x 13.9" x 5.9"